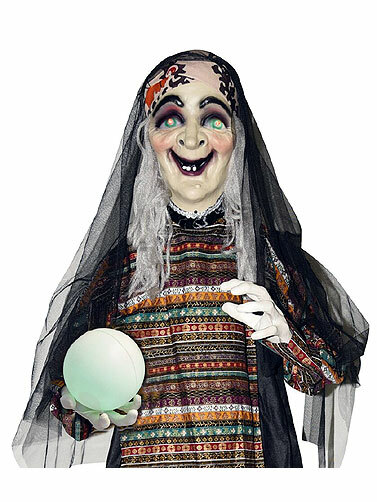 This Standing Fortune Telling Witch will make a big impression in your Halloween display. 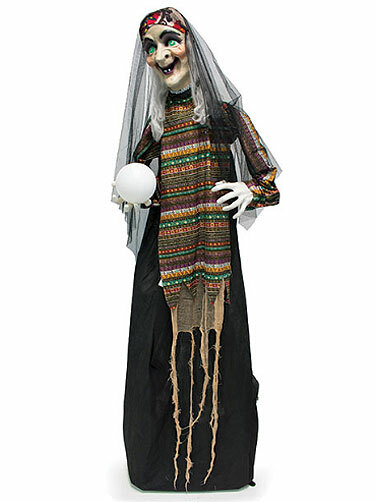 The animated life-size witch features lighted eyes, spooky sounds and her head and arms move. Dressed in a fabric gown with plastic head, hands and crystal ball. Metal poles and plastic stand for displaying included. Sound activated. Uses 3 AA batteries. 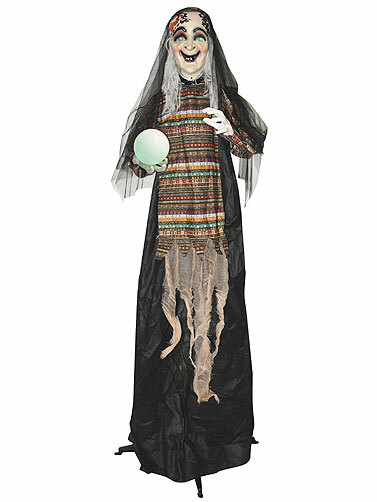 Standing Fortune Telling Witch measures 60"H (5 ft).